The Waving Flag: Satellites To Search For Genghis Khan’s Tomb? 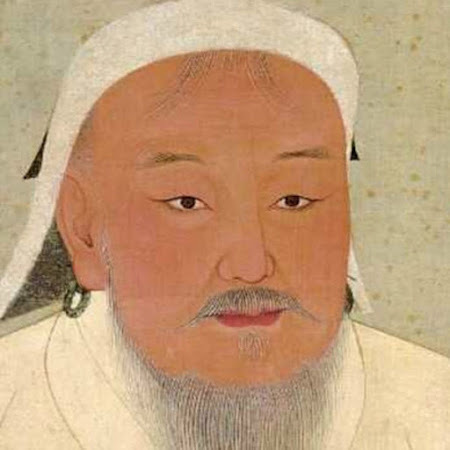 Satellites To Search For Genghis Khan’s Tomb? Once we've narrowed down … [the] region in Mongolia … we'll use techniques such as ground penetrating radar, electromagnetic induction and magnetometry to produce non-destructive, non-invasive surveys. We'll then … create a high-resolution, 3-D representation of the site." Reading between the lines Lin’s pitching for a job, needs the job to get funding and needs the funding to set up the team before starting work. My suspicions were confirmed when I checked out and the Valley of the Khans project website and discovered that it was registered on 01 Oct 2008; just two weeks before the USCD article appeared. Definitely academic PR. So I don’t think we should hold our breath but the project looks interesting so I wish Dr. Lin good luck. Hmm maybe that's the way stuff gets done. Actually $700,000 doesn't seem a great deal for a 3 year project...but then again they are only perusing satellite pictures..most of that might go on coffee and doughnuts. They will need more funding for a dig if they find anything. $700,000, divided among 8 researchers, over three years, comes to a little less than $30,000 a year, IF the entire fund were budgeted to salaries, and didn't have to cover all other aspects of the research. I fail to understand how people who claim to "love history" justify making remarks implying that practicing scholars in the historic disciplines would squander research funding on "coffee and doughnuts". Next time leave please leave your name.